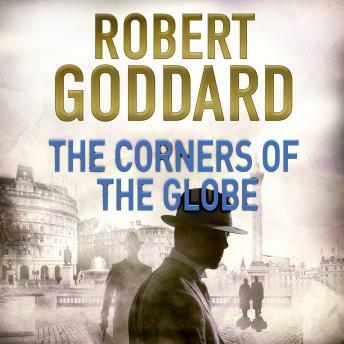 In The Corners of the Globe, Max is sent on his first mission for legendary German spy Fritz Lemmer, the very man who claims responsibility for the murder of Max's father. As Max travels to Scotland's remote Orkney Islands to collect a mysterious grey file from a German captain, he must keep his true allegiances in mind. Further complications arise when a fellow tourist recognizes Max from their school days and threatens to blow his cover. Meanwhile, in Paris, Max's trusty sidekick Sam Twentyman has been promoted to chief mechanic for the British diplomatic fleet of cars. Though worried about his friend, Sam is content with his new set-up, until he receives warning that a nefarious element in the Japanese delegation is out to kill Lemmer-and they have reason to believe that Sam might be a link in the chain connected back to him. With the Germans about to enter the peace negotiations, the need for reconciliation among nations is greater than ever. But there is one secret so explosive that it threatens to endanger the whole peace conference, and Max is intent on finding it out.